I have decided I want a particular Breitling watch. Unfortunately, it's not made for women yet. 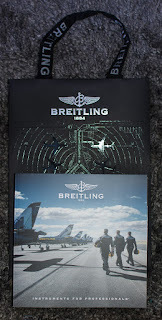 We did look in the Breitling store and they gave us this catalog, though!